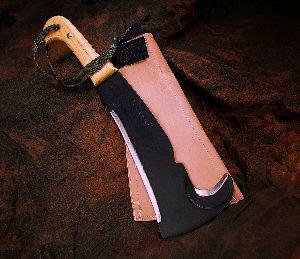 Perfect for brush, briars, and general clearing work. 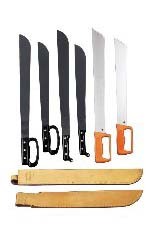 The high-carbon steel blades hold their edge and are oil-quenched in clamps for uniform hardness and straightness. 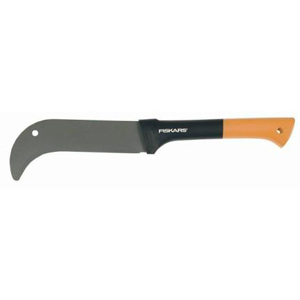 The flame-sealed hickory handle provides light weight, strength and durability. Pictured on the left. 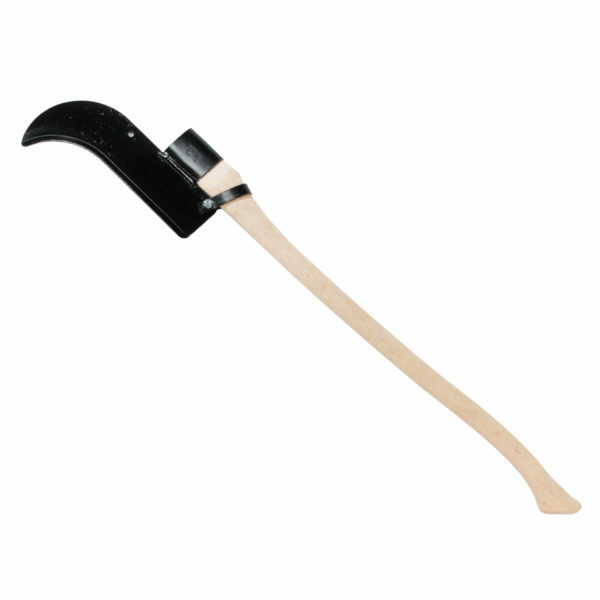 Sturdy bush hook featuring a 12″ single-edge blade fastened to a 36″ curved wooden axe handle. Excellent clearing tool!